Several members of the CSI Knoxville student chapter went on a great site visit to the University of Tennessee Knoxville-Oak Ridge National Laboratory (UTK-ORNL) Joint Institute for Advanced Materials (JIAM) building on the located on the former Cherokee Farms site on Alcoa Highway. They toured several of the advanced material research labs, conference rooms, mechanical and electrical rooms, and observed the MEP systems in the open ceiling spaces of the labs. 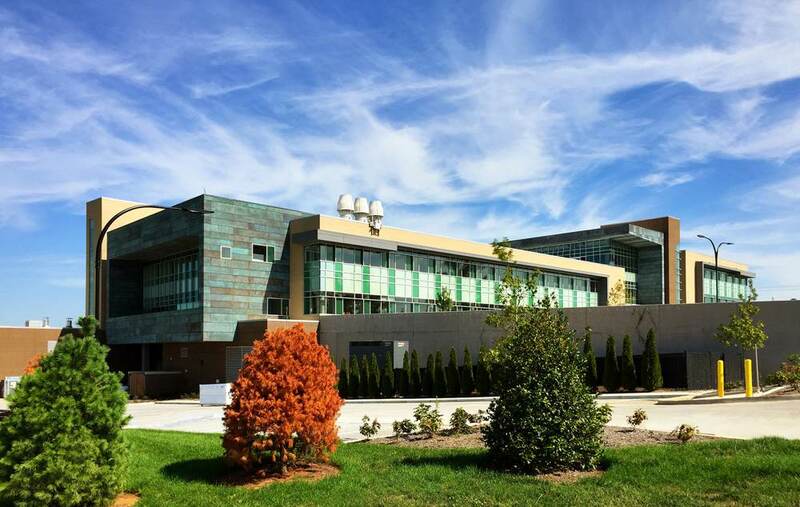 The building houses labs with electron microscopes, molecular beam equipment, ion beam materials research and micro-processing research equipment. Some of the features of the building include pre-patina copper skin panels, fire rated glass panels in the atrium floor, and conference rooms with automated video cameras and microphones to follow speakers and participants in the conference. JIAM operates with a multidisciplinary team of scientists from UT and ORNL, and conducts research at the forefront of modern materials science. More information about the facility is at http://jiam.utk.edu/about.php . Special thanks to Michelle L. Crowder, AIA, Assistant Director Administration, Office of Capital Projects and UT Facilities Planning for arranging and conducting the tour. 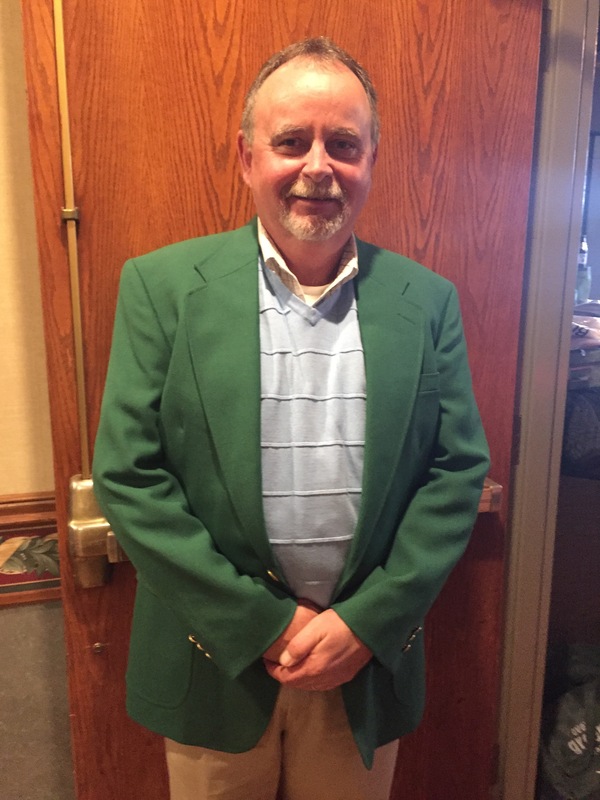 President Gary Bergeron presented our own Wes Crow - Master of CSI Golf Tournaments - with his own green sports jacket as a show of appreciation from the chapter for his unending leadership of the CSI annual golf tournament. The 2015 tournament was another extremely successful effort that was the result of Wes and his team of volunteers. Thank you Wes for all you do for our chapter. And a special thanks go out to Merit Construction, where Wes is a Vice President, for allowing Wes to support the Knoxville Chapter. Wear your Masters jacket with pride! 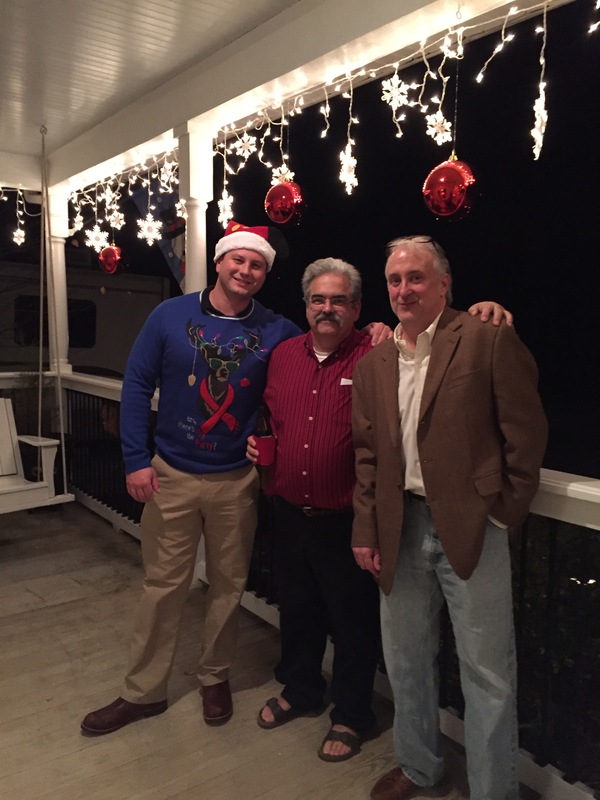 The CSI Christmas Party was hosted by Jill and Gary Bergeron at their home in Powell. Over 45 members and guests attended the bash in festive attire and headress. We started the partying on the party van in Ingles' parking lot where Suzan arranged for us to be transported direct to the Bergeron's door. The place was festively decorated in total Christmas sparkle and glitter. We feasted on a Low Country Boil prepared by Shrimp Dock - WOW!! and that was accompanied with tasty delights in every room. There were even pralines imported from Lousiana. A cajun Christmas! Christmas carols were led by Jill with Will Dunklin providing the accompaniment on keyboards. (He's really good!) The traditional Christmas gift exchange was delivered with a funny twist as we followed directions for exchange through a lively poem created by the hosts. Toys were collected to be delivered to Toys for Tots annual toy drive. Since Curtis Rosembaum first suggested in 1996 the CSI Chapter has participated in this program. The Marines were amazed and very grateful when Kathy dropped the toys by the Alcoa Hwy Marine base. There were over 50 toys of all types donated by CSI members and friends this year. Curtis would be proud. Thank you all for your generosity and thank you Jill and Gary for hosting this wonderful event. To see more pictures from the party, go to the EVENTS page on this website. If you have photos that you would like to share, please email to Kathy or Suzan for posting. Want to see what the National Convention Looks like? 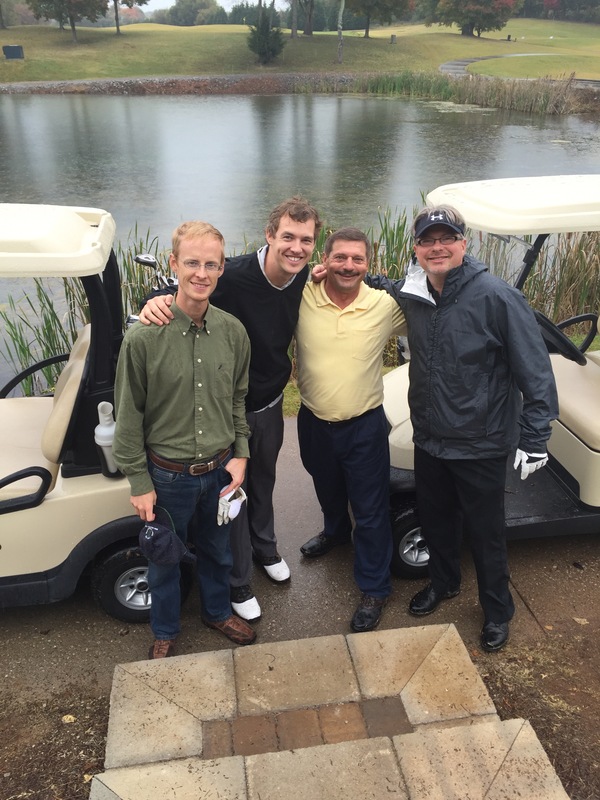 The CSI Golf Tournament was held again this year at beautiful Willow Creek Golf Course on October 26. After a warm lunch in the clubhouse, over 70 players headed out at the shotgun start at 12:45 and braved the overcast skies. It turned out to be a perfect fall day for golf. On the 15th tee, the Sheriffs Department had an opportunity for $10 to take advantage of the 515 yard par 5 challenge by exchanging your Tee shot for a shot off an AK-15. With a little firepower, the balls sailed over the lake and landed 150 yards away. There are lots of photos of our golfers with their assault rifle tee shots. And the winners are: First Flight : 1st place - the Wakefield Corporation team [Grant Bryant, James Vandergriff, Wayne Palmer & Jeff Kenley] with a 53 with the Merit Construction team [Wes Crow, Kent Everett, Doug Heffron & Chuck Severance] sporting a 55 and grabbing 2nd. Second Flight: 1st place - General Shale & Sherman Dixie team [Lukas Salyer, Josh Brock and Tim Owens] with 63 shots. The Hiwassee Window and Door team [Sam Ledford, Josh Stephens, Phil Crawley & David Francis] tied that score and took 2nd. Closest to the Pin, which was sponsored by SESCO Lighting, Home Choice and Hiawasee Window and Door, was won by James Vandergriff on hole # 6 with a 4''''-8" spread and on hole #14 a 5''''-8" distance gave Bob McCoy the win. The longest drive, which was sponsored by CFI Insulation on #3, was won by Austin Whaley, and by Dustin Davis on #12, which was sponsored by Otis Termite and Pest Control. Thank you so much to the volunteers who worked hard to put the event together under the leadership of Wes Crow and Josh Brock. The drink cart was manned by Bobby Davis and Susan Davis and sponsored by Gillman Services and the Labor Exchange. We want to thank all our other hole sponsors that helped to make this event possible: CFI Insulation, Dupont / TYVEK, Carlisle-Syntec, Advent Electric, Hoffman & Hoffman, J&F Mechanical, SESCO Lighting, Harrison-APAC, Associated Fire Services, Whaley & Sons, Johnson & Galyon, Superior Steel, Ingersoll Rand Company, Gwynn Sales / Take Access Flooring, Clancy Custom Millwork, TIS Insurance, Baird & Wilson Sheet Metal, Glenn E. Mitchell Concrete, Dixie Roofing, White Realty, Merit Construction, American Refrigeration, Kelso-Regen, Shoffner / Kaltoff, Scotts Plumbing, Shoun-Allen Masonry, ABG Caulking, W.S. Trimble, SKYCO Staffing Services, United Elevator Services, Rayco Restoration, and Castone And always we want to express our appreciation to the excellent staff at Willow Creek who have been so accommodating to hold our tournament year after year. See you next Fall!